Why do we travel? Is it for the need to consume new textures, landscapes, flavours and sounds? Is it because of an innate desire to be on the move? Whatever the reason, we’re hooked. Read on to see how we recently shared a travel experience with six inspirational nomads, who joined us in Lisbon, Portugal. Portugal is the westernmost country of mainland Europe and the recent setting for the filming of our new HERE app video. We thought it could also be the perfect destination for our latest #InstaMeetHERE event, so we invited six travel enthusiasts, who document their journeys on social media channels, to explore Lisbon with us while using the HERE app as our guide. Having the freedom to explore a new place without getting completely lost is a necessity for most travellers and with HERE Maps, you can plan your route, check for public transport options and always know exactly where you’re heading. Our #InstaMeetHERE crew were excited to learn about these functions also being available offline; meaning that even while you’re avoiding data charges, your downloaded maps are still fully interactive and finding that lunch spot you read about, is still very much a possibility. Having started our day with breakfast and an app demo, once we were out and about, it was easy for our guests to test the app functionality for themselves. 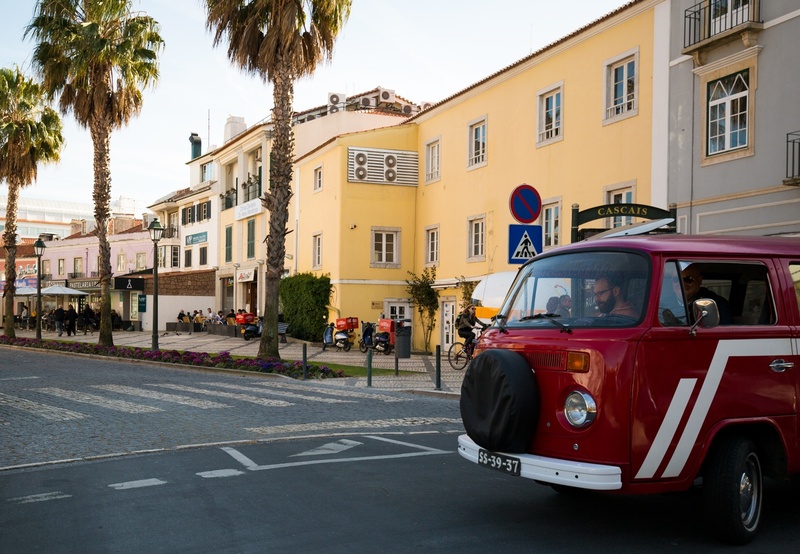 Collections were a huge hit with the group, as they could save all of the places they fell in love with as we made our way around Lisbon by foot, public transit and in two classic VW camper vans. Lisbon is one of the oldest cities in the world and the very oldest city within Western Europe. It glows with the reflection of sunlight on the Tagus River and its architecture turns heads, as fascades pop with hand painted azulejos and castles rival the likes of Germany's Neuschwanstein. Thanks to our maps, the group was able to see many different sides of Lisbon and the neighboring towns of Sintra and Cascais. A place this beautiful deserves to be shared, so take a look at these great photos from the event and follow the hashtag on Instagram, to see everything our incredible guests have posted so far!